My background as an architect drives a lot of my writing. I am fascinated by new worlds and new places. As architects, we imagine environments. We conceive and build places where people live and work. But the narrative is fixed in architecture. We already know the story. The building will be a museum. People will go there and see modern art or ancient relics. We know the script and we build the world to suit it. I found this a bit frustrating. I wanted to be an architect without a client, a designer whose buildings didn’t know their stories, not yet at least. I wanted a bit a freedom. In Soleri, our characters navigate a lot exotic environments. Some of them are built and others are natural. But in each I had the complete freedom to invent the history of that location, to design the exotic rituals that occur in these places, and to build ancient and complex structures with elegant pasts, places my characters explore and discover, just as the reader will hopefully do the same. Soleri is my debut Epic Fantasy novel. It’s my first book for adults and it hits the shelves on June 13th. I’ve worked on Soleri for seven years. So I hope people enjoy it and appreciate the time and research that was put into the work. I’ll answer both with one book, Dune. Dune was the first novel that wound its way deep into my thoughts, lodging itself there and sticking. It’s a book that stayed with me. And I’ll provide some examples. There were the mantras, the Bene Gesserit litany against fear (I must not fear. Fear is the mind killer….). That one never left me. The book also had a strong environment message. After I read Dune, I never looked at water in the same way. It was as if those words had placed a lens in front of my world; it changed the way I saw my environment. It’s the book that made me turn off the faucet when it wasn’t needed. And Dune is also a great epic. In a way, it’s an epic fantasy told on a grand, galactic scale. It’s science and fantasy. It’s bold and complex and political. Did you learn anything from writing SOLERI and what was it? I can’t list everything I learned. And anyone who says they didn’t learn a countless number of things from each novel they write just isn’t trying hard enough. I learn something new each time I write. Some of these things come from research, some from the practice of writing itself. I read a lot of history. I read about architecture, sociology, anthropology. I try to learn something new each day and put it into the work. For those who are unfamiliar with Ren, how would you introduce him? Ren is one of the five point of view characters in Soleri. He is the son of a powerful king and heir to that man’s kingdom. But there is a twist. The boy has never met his family. He grew up a slave and a servant of the empire, an imperial tribute. But, when he is at last given his freedom and the chance to claim the kingdom that rightfully belongs to him, Ren discovers that the path to his throne might not be as straight forward or as easy to achieve as he had hoped. He has a strong will, but also a melancholy heart. The boy has suffered much. We experience the joy he finds when he at last achieves his freedom, and we feel his heartbreak as well when he discovers the challenges that lay before him. What part of Merit did you enjoy writing the most? Merit is another of the five point of view characters in Soleri. She is the sister of Ren, but she has led a very different life and so she’s a very different person. As a character, Merit was a challenge to write. She has a personality that is very different from mine, but I based her off of someone I know quite well. I often like to relate each of my characters to someone I know in real life, it helps me keep each character consistent and it gives them a certain depth. Which character have you enjoyed getting to know while writing SOLERI? I think I’ll go with Arko, the king and patriarch of the Hark-Wadi family. His personality is actually the closest to my own. Given the character’s temperament and fate, some who have read the book may find this a bit surprising. He is a grim fellow and he suffers from more than one fault. But he is also the most realistic character in the book and the most flawed. He makes mistakes and he doesn’t always recover from errors. He is a character who is sometimes frustrating to read and to write as well. We feel for Arko. We want him to overcome each of his flaws, but he doesn’t always have the will to do it. Arko is the sort of character most authors avoid. He fumbles, makes errors, behaves poorly and seldom redeems himself. Soleri is a book about collapse. It’s about the end of an empire and the end of a family. The two are tied. And neither have a happy ending. Read the book from start to finish. This isn’t a novel the reader can sample or skim. There are deep secrets, huge earth-shattering reversals, and they will only resonate if the reader takes the time to carefully read the entire novel. I’ve read dozens of reviews that are based simply on the synopsis and a quick skim of the first one hundred pages. Readers and reviewers need to take the time to read the whole novel to truly understand all the twists, so I hope they will stick with me. To Italy, Venice to be exact! I’m okay with the 80’s (when I was a teenager). It was a weird and interesting time. We had video games and the threat of total nuclear annihilation. If I had to choose another decade I suppose it might be the 1940s. The world was on fire and that must have been something to witness. 1. It is inspired by both King Lear and ancient Egyptian history. 2. I spent seven years writing the novel. I know, it’s a long time, a really long time and I did work on a few other projects during that period. Soleri was on the backburner at times, but the plot and the characters never left my head. It all started in 2010 and it’s a big relief to finally see the book hit the shelves in 2017! 3. The whole history of visionary architecture from Piranesi to Étienne-Louis Boullée is hidden in the background of Soleri, but you won’t recognize these great structures unless you research the work. Call them Easter eggs. The book is full of them. 4. Soleri is a completely fictional world, but much of it is based on ancient Egypt. 5. The ancient Egyptians were the first to invent the yearly calendar. Before then people based their calendars on lunar cycle, which didn’t work that well. The Egyptians created a calendar with three hundred and sixty-five days. They didn’t have a leap year, but they were otherwise pretty close to finding the true length of the year. They also knew that their calendar was slightly off so over the centuries they shifted the length of the year to account for what we now call a leap year. They also had twelve months in their calendar, but they only had three weeks and each week had ten days. Anyone who is good at math will realize that this system leaves five days unaccounted for. Those five missing days are very important to the plot of Soleri. Just imagine it, five days that exist outside of time! 6. I made the map that is featured in the front of the novel and I spent years working and revising it, sometimes letting it inform the plot and at other times tweaking it to fit the story. But for the most part the geography remained almost unchanged throughout the process. I often felt as if the world was already built and our characters were simply inhabiting it. Check out the e-book. It has a color version of the map! 7. There were originally six rather than five point of view characters in the book. One character was taken out completely. I think his story would make a perfect novella. His plot line is just over a hundred pages and I’d love to publish it. 8. Soleri is the first book in a duology. It’s a rare form, but it has been done in the past. Hyperion by Dan Simmons is the most notable example. I think it’s a great format. Our readers don’t have to wade through ten novels to reach the final conflict. The story mostly wraps up in two novels, but there is one thread I left hanging for a second duology. 9. The phrase “May you share the sun’s fate” is used throughout the book and has several meanings in the series. It’s a key phrase and it’s actually from ancient Egypt. Those words were inscribed on the top of an actual pyramid. 10. Soleri is my passion project, the one I kept working on until I thought it was perfect. It’s difficult to release that sort of thing into the world. Every criticism hurts, every remark is taken as a slight, but I put a lot into the novel and I truly hope that people love it! Thank you MICHAEL JOHNSTON AND TOR for making this giveaway possible. 10 Winners will receive a Signed Signed Copy of Soleri by Michael Johnston. My journal entry today would discuss how sore I still am after a weekend of baking/prepping/cooking/hosting a graduation party. It would also discuss how relieved I am that it's over and was successful and fun. "If you wrote a journal entry today, what would it say?" 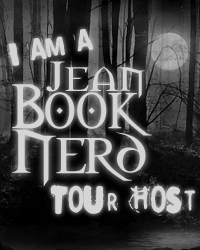 Look at jeanbooknerd site. Hot weather today.